March is here. | A.B.E. Remodeling, INC. 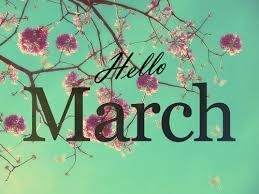 It's time to say goodbye to February and now welcome yet a new month. So put on your best shoes and MARCH into the 3rd month of 2017. HAVE A GREAT MARCH EVERYBODY. We'll look forward to spring, St. Patrick's Day and daylight saving time. It's also the time of Lent so keep that in mind. Now with Spring just around the corner, it's time to get to sprucing up the house…so give us a call with your ideas. Here's a quote to keep in mind as time continues to March along, "One small positive thought in the morning can change your whole day and perhaps someone else's day".